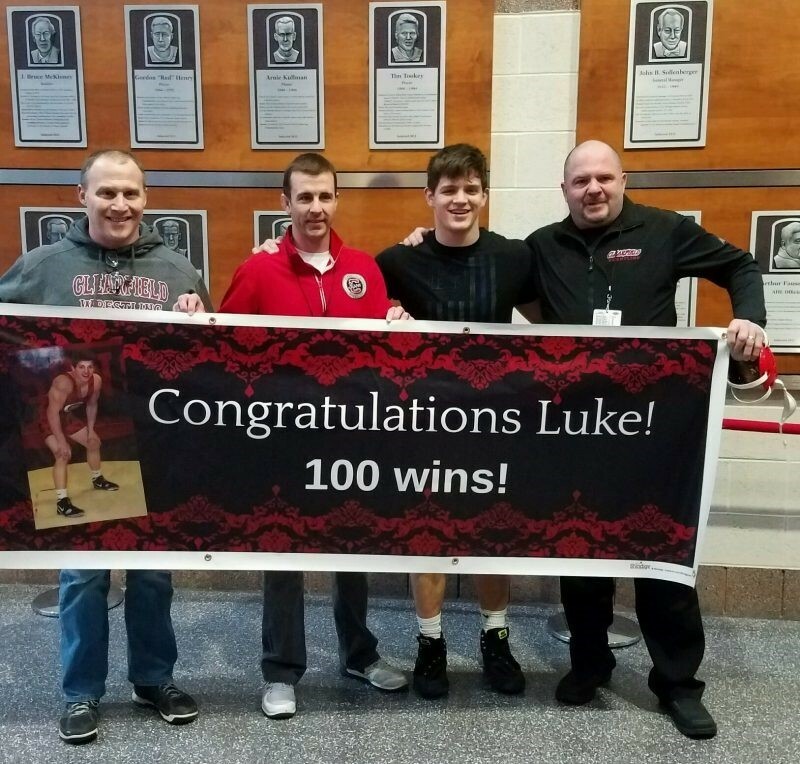 Clearfield Bison wrestler Luke McGonigal won his 100th career match in the semifinals. Shown here with varsity coaches (L-R): Brent Lykens, Andy Squires, McGonigal, Jeff Aveni. To cap off the emotional victory, it was the 100th of McGonigal’s career, the first Bison junior to ever reach that mark.